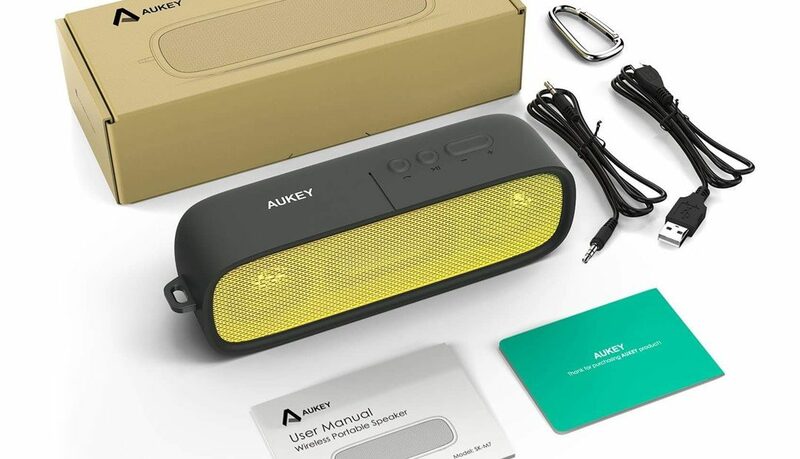 The Aukey SK-M7 Premium Stereo Bluetooth Speaker provides full and robust sound from its compact size. Supported by 3W drivers, it offers you high clarity, balance and Bass. The sounds fill your room and turns it into your personal wonderland. Latest Bluetooth 4.1 technology makes it easier and faster to connect to your smartphone or tablet within 10 meters operation distance.